This is the last article of a series published by the Alliance for Rural Electrification , an international business association that provides efficient renewable solutions for rural electrification in developing countries. India has experienced rapid economic growth over the past decade, with an expanding middle class larger than the population of the United States. In 2000, the population grew at a rate of over 6 per cent, which required a rate of 9 per cent of energy growth . In the past 20 years alone, urbanization has driven a 208% growth in India’s energy consumption . Under these conditions, it is imperative that India meets its growing energy necessities in a self-reliant, sustainable manner. However, providing 1 billion plus people with a constant energy supply is very difficult, especially for a developing country facing rising gas prices. According to Dr. Farooq Abdullah, India's Minister of New and Renewable En ergy, at the time of independence (1947) installed capacity increased from 1,350 MW to 160,000 MW today, yet over 90,000 MW of new generation capacity is required in the next seven years. “Even today, millions of decentralized energy systems, solar lighting systems, irrigation pumps, aero-generators, biogas plants, solar cookers, biomass gasifiers, and improved cook stoves, are being used in the remotest, inaccessible corners of the country”. Inclusive growth starts with providing energy access to the most disadvantaged and remote communities. More than 18,000 villages live without electricity in India; according to the International Energy Agency, 404.5 million people do not have access to power . Many who do receive electricity face constant blackouts and uncertainties of a steady energy supply from their utility company. Erratic voltage levels and an unreliable power supply are major problems, due to the inadequate energy supply and ageing transmission leading to power cuts . 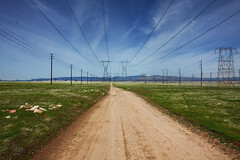 Rural areas face serious problems with the reliability of power supply. India’s climatic conditions make it a very suitable place to rely on renewable energy (RE); with very high solar irradiationnsolation levels and 45,000 megavolts megawatts (MWV) of possible wind capacity, RE business growth has much potential. The Indian economy also depends heavily on agricultural production, and the livelihood for a majority of the population is farming. Installing RE for rural agricultural purposes is necessary to make a significant impact. The Government of India (GoI) has made it a priority to increase the adoption of RE into the country’s energy mix. In November 2009, the GoI approved the Jawaharlal Nehru National Solar Mission, which creates policy conditions for quick RE diffusion across the country. 20,000 MW of solar energy is to be deployed by 2022 through leveraging domestic and foreign investments, engaging in research and development, manufacturing and deployment to make this sector competitive internationally. In 2010, the Mission has gained investments in 200 MW of grid-connected solar power plants, with another 500 MW to be implemented soon. The GoI views that meeting its growing energy demand by employing clean technologies is easier than implementing them after the fact, as in the US, EU, and Japan. Thus, India has the unique advantage of harnessing domestic R&D and manufacturing, making clean energy a truly homegrown expansion. Some argue that the protectionist trade law requiring foreign firms to produce a percentage of it’s manufacturing in India keeps the price of solar from becoming competitive globally. Yet keeping solar a domestic industry that provides employment for thousands is also a promising economic growth model for India. Currently, India competes globally in the manufacturing and deployment of wind technologies. Wind energy generation is very investor-friendly, with an attractive tariff and regulatory regime facilitating its growth. The Ministry of Non-conventional Energy Sources has recently introduced generation-based incentives, where investors receive a financial incentive per unit of electricity generated over ten years. This should create a level playing field between domestic and foreign investors, which should drive more investment in this area. The Global Wind Energy Council (GWEC) estimates conservatively that the wind energy capacity in India could be 24 GW by 2020 and 30.5 GW by 2030. If all planned policies are implemented and all current targets met, capacity could be as high as 40 GW in 2020 and 108 GW in 2030. Presently, small hydro (up to 25 MW) has capacity of over 15,000 MW in India. About 300 MW per year (2,700 MW total) is being installed, with 70% of investments coming from the private sector. Hydro projects up to 25 MW capacities are termed as small hydro, and this energy stream has a potential of over 15,000 MW. The GoI aims to double the current rate of growth, including 500 MW per year in the next few years. Years ago, development experts thought industrialized countries should harness and drive research, while developing countries focus on raising basic education and literary skills. India is unique, in that it created world-class educational institutions (e.g. Indian Institute for Technology - IIT) during a time when most of the country was impoverished. The investments made in the scientific research capacity from IIT schools have led to a new generation of information technology engineers that have orchestrated India’s IT boom. Now these same research institutions are discovering technology that creates renewable and efficient energy. Ever since the liberalization of India’s market, the government in the nineties formulated a great number of policies to promote RE, including technology transfer. It is imperative for the GoI to balance the amount of R&D on the national level and imported technology. Not only would India be proving to the world that a developing country can utilize renewable energy options, but developed countries would no longer be able to make the argument that international carbon reduction treaties should not be pursued because of the lack of restrictions on developing countries.India is proving its leadership and takes up the task of providing its citizens with steady, reliable and clean energy, but more can still be done. However, the reduction of RE prices and mass production should not be done to the detriment of quality. Indian industry, which has cultivated an image of quality in other sectors, would be well advised to apply the same standards to RE technologies. Several local producers have been recently criticized and some experts have expressed doubts on the quality of the new installations following the implementation of Indian Solar Plan. In this framework, local authorities have a role to play in imposing internationally agreed standards in their own markets as well for exports. This will have a mid-long term important influence on the local markets (systems working as planned over 20-25 years), as well as on the image of the technology and the industry. The recent major cost decreases of RE is opening up market niches; utilizing the full potential of these niches must be realized. Currently, the RE market in India is over US$2.2 billion, and is growing at 15 per cent every year. Non-governmental Organizations should be also utilized during RE project implementation and public-private partnerships between governments and the private sector can link policy changes with private financing to promote RE. International lending organizations, such as the World Bank and the ADB assistance are still greatly needed for RE implementation, particularly for off-grid. The Banks can help create the right environment for the private sector to invest in RE technology, implementation, and maintenance. India is an agricultural nation, yet the farmers and the rural poor remain the underserved. Klaus Toepfer, the former Executive Director of the United Nations Environment Program, has once said, “These countries need greatly expanded energy services to help in the fight against poverty and to power sustainable development”. The benefits of RE in rural Indian communities are tremendous; RE not only expands energy generation and greenhouse gas mitigation, but also contributes to improvements in local environment, drought control, energy conservation, employment generation, health and hygiene, social welfare, security of drinking water, and increased agricultural yield . Implementing wind farms and solar power in villages brings development in the form of infrastructure, efficient agriculture, and an overall better quality of life for the rural people. Thus, the broader developmental goals, such as poverty alleviation, sustainable development and employment generation should be integrated into the RE programs while seeking direct support under bilateral and multilateral cooperation. The GoI, NGOs, the international community, private businesses, and the villagers themselves all have a significant part to play in creating this better life, and must work together in order to do so. 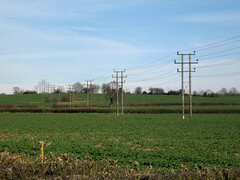 The authors Simon Rolland and Aneri Patel work for Alliance for Rural Electrification. Ravindranath, N.h., K. Rao, Bhaskar Natarajan, and Pradeep Monga. Renewable Energy and Environment: a Policy Analysis for India. New Delhi: Tata McGraw-Hill Company Limited, 2000. 1-208. Ferrey, Steven, and Anil Cabraal. Renewable Power in Developing Countries: Winning the War on Global Warming. Tulsa: PennWell, 2006. 1-333. Abdullah, Farooq. “India’s Renewable Future: Challenges and Prospects”. Renewable Energy World. February 4, 2011.
International Energy Agency, World Energy Outlook 2010. Bakshi, Rakesh. "Development of Renewable Energy in India: an Industry Perspective." Renewable Energy Policy and Politics: a Handbook for Decision-Making. Ed. Karl Mellon. London: Earthscan, 2006. Callard, Abby. “How to Bridge the Energy Gap.” Beyond Profit. February 10, 2011.